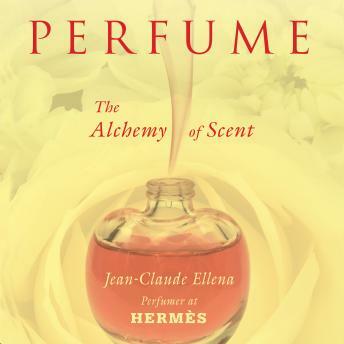 To women the whole world over, perfume means glamour, and in the world of perfume, Jean-Claude Ellena is a superstar. In this one-of-a-kind book, the master himself takes you through the doors of his laboratory and explains the process of creating precious fragrances, revealing the key methods and recipes involved in this mysterious alchemy. Perfume is a cutthroat, secretive multibillion-dollar industry, and Ellena provides an insider’s tour, guiding us from initial inspiration through the mixing of essences and synthetic elements, to the deluxe packaging and marketing in elegant boutiques worldwide, and even the increasingly complicated safety standards that are set in motion for each bottle of perfume that is manufactured. He explains how the sense of smell works, using a palette of fragrant materials, and how he personally chooses and composes a perfume. He also reveals his unique way of creating a fragrance by playing with our olfactory memories in order to make the perfume seductive and desired by men and women the world over. Perfume illuminates the world of scent and manufactured desire by a perfumer who has had clients the likes of Cartier, Van Cleef & Arpels, Bulgari, and Hermés.